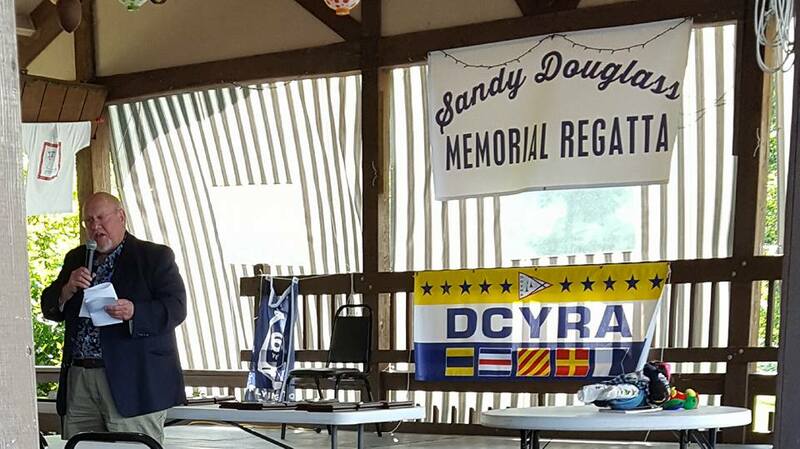 Fifty two boats completed in this year's Sandy Douglass Memorial Regatta, while the factory celebrated 60 years. With 24 boats in the Gold Class, Zeke Horowitz and Cole Allsopp came away with first place. The Silver Class was won by Emily Meehan and Ashley Fulk, and the Masters Class was won by Ed Peters and Sue Chase. 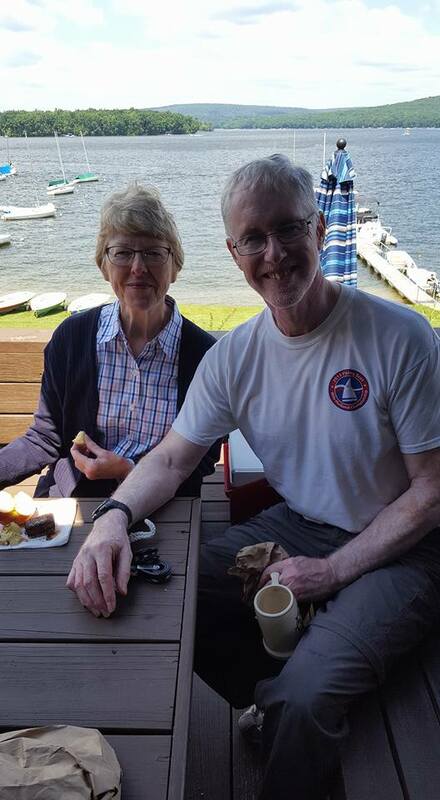 A great weekend at the Sandy Douglas Memorial Regatta with Cathy Huston, and Larry and Deb Anderson, our hosts. Larry is a great skipper as you can see by our finish in the Masters. 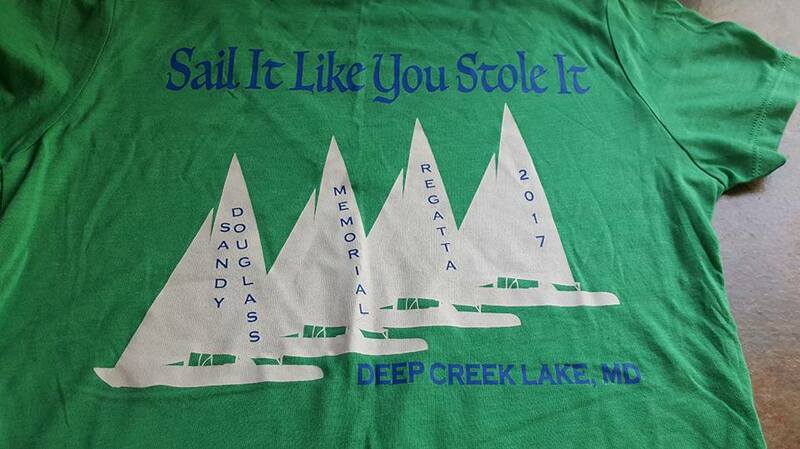 Deep Creek has some amazing sailors. 52 boats including 16 from off the lake. Love this year's shirt! A great chalk talk session this morning at the Sandy Douglas Regatta. Many thanks to Tyler, Ryan and Zeke. It's great to hear different perspective and I actually used some of the tips or ideas.